Located just 5 kilometres from the Infotech Park and close to the railway station, the Executive Inn offers comfortable accommodation and a variety of amenities at reasonable rates. The courteous staff ensure that your stay is completely hassle free. 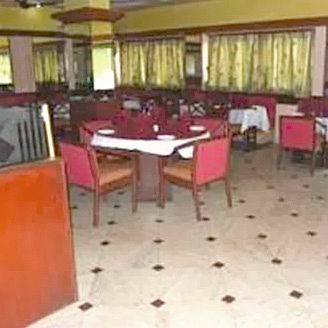 Expect well appointed, clean rooms and an in-house, multi cuisine restaurant. Overall, it's a great stay, at reasonable rates for business travellers and leisure seekers alike. Doctor on Call, Audio-Visual Equipment, ATM/Banking, Conference Hall, Secretarial Services, Express Check-In/Check-Out, Exhibit Space, Security Guard, Currency Exchange, Parking. Bottled Water in Room, Television Room, Reading Lamps, Voicemail, Air Conditioning Room, House Keeping, Complimentary Newspaper, Bathrobes, Safe Deposit Locker Facility, Cable/Satellite TV. User reviews for "The Executive Inn Hotel Navi Mumbai"
© 2017-18 HotelsInNavimumbai.co.in All Rights Reserved.